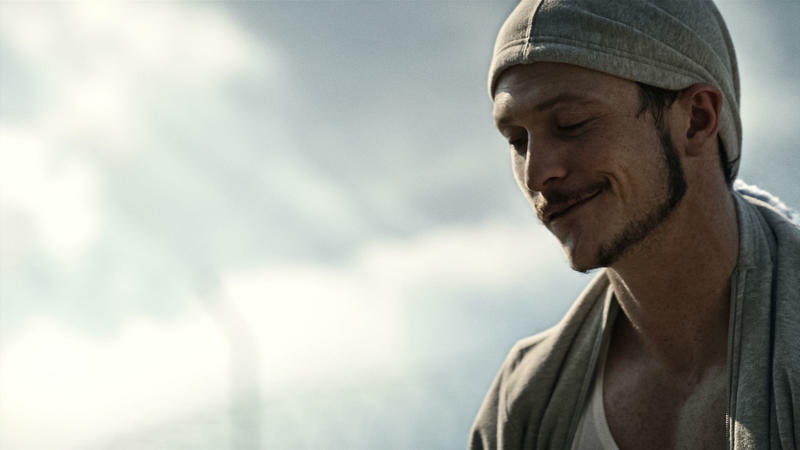 A dirty, wary Norse warrior steps from his longboat onto a desolate beach in search of fertile new lands. The moment he sets foot into the forest, he's shot with an arrow from a hidden position. Then, about 200 more. It's an absurd sight, seeing this gritty warrior laid out with enough arrows to cover his body completely, but it sets a tone for the show to come. As this so-called Golden Age of Television continues, more and more of our favorite previously-unfilmable media is making its way to the living room. Stories that were too violent or sexual for broadcast television and too complex to film as a movie are seeing light on channels like Starz. 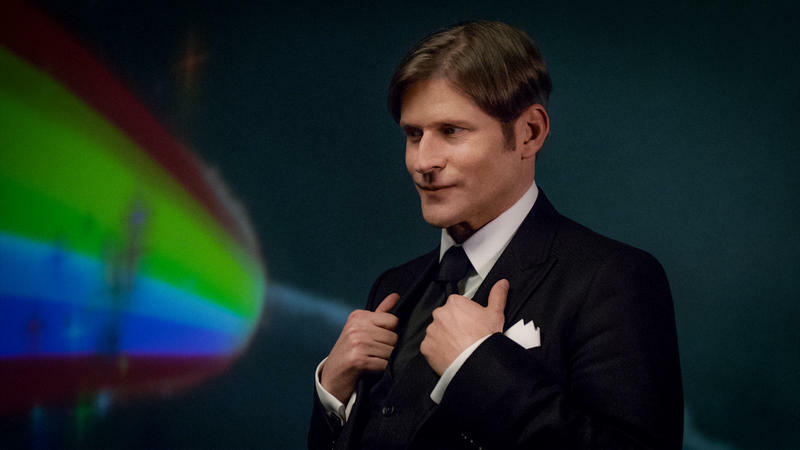 Neil Gaiman's now-classic American Gods, first published in 2001, is the latest to make the jump. We took a look at the first four episodes to see whether the story can make the transition. We're going to do our best to avoid spoilers in this review, but be aware that a few minor spoilers may be littered throughout. I should say, before we go any further, that I have not read Gaiman's novel. My Gaiman collection, in its entirety, consists of The Day I Swapped My Dad for Two Goldfish and The Wolves in the Walls, both ostensibly childrens' books, and both purchaed for Dave McKean's art. 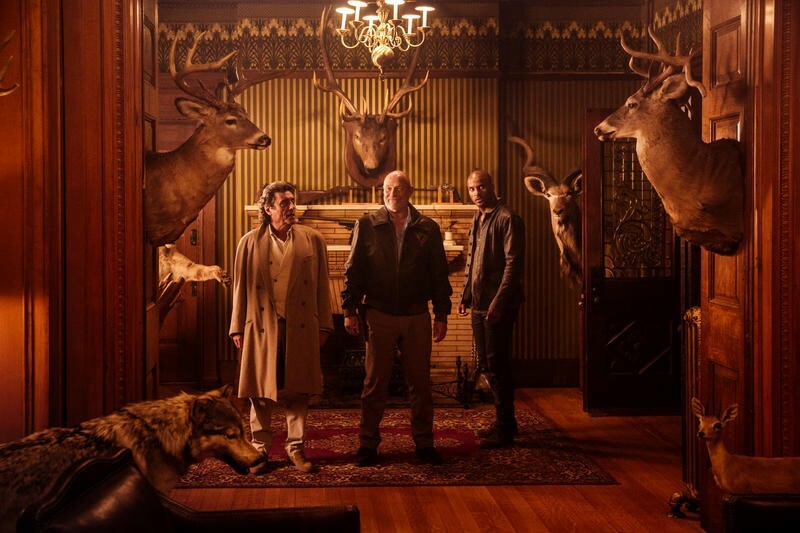 When I sat down to watch the first four episodes of American Gods, then, it was with a relatively fresh set of eyes and without the looming specter of nostalgia that looks over our shoulder while we watch stuff like this, affecting our judgment. I knew the basic concept going in, and had heard whispered breaths of praise for the novel throughout the last sixteen years. I just never got around to checking out the story. The narrative style of television is more my speed, anyway. Oh, and I haven't read Game of Thrones either, while we're at it. That's not directly related to this show, but I want to paint as complete a picture as I can of what an utterly inexcusable human being I am before we dive in. 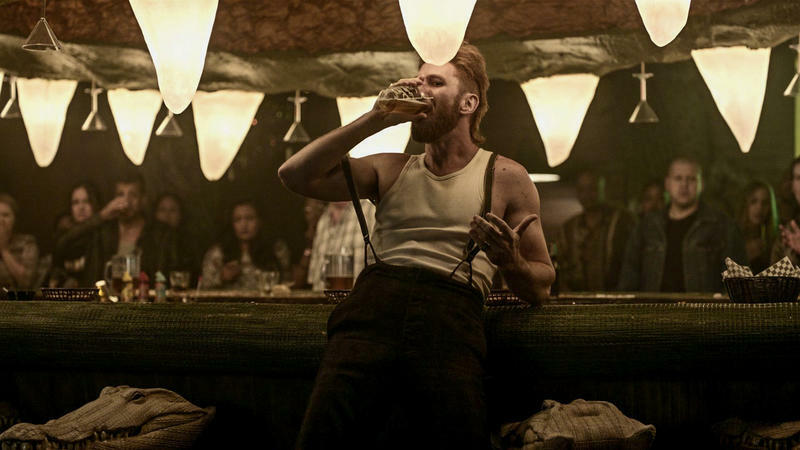 American Gods introduces us to Shadow Moon, a convicted man working through his last few days in prison. After the sudden, tragic death of his wife, he's released early. Now aimless – without the wife he'd planned to return to or the job he'd had lined up – Shadow ends up in the employ of a con-man named Mr. Wednesday. Shadow learns quickly that the world he's spent his life in thus far is just the surface. The gods of old are real and alive here in America, but their powers are waning as belief in them has all but disappeared. Mr. Wednesday wants to ally them against the new gods created by our modern worship of technology and media. Shadow, it seems, has a role to play in that, as gods new and old try to tempt him with promises and doom him with deals. It's a neat idea. 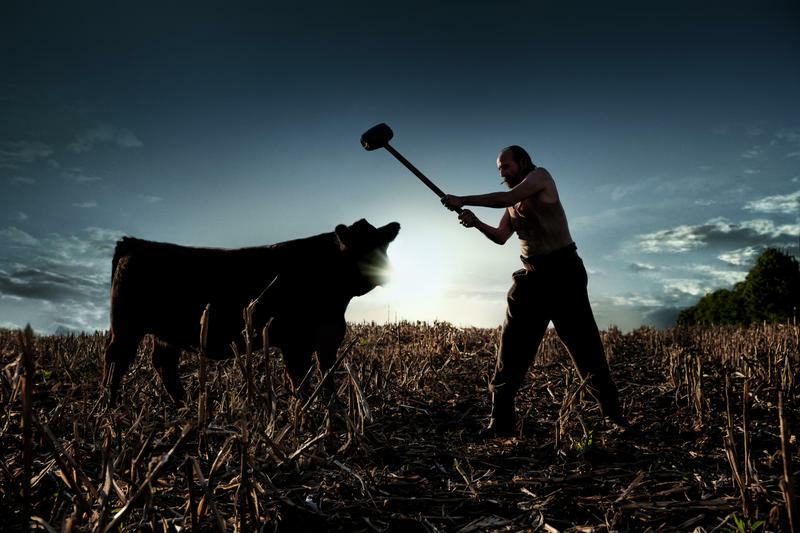 When we think of gods like Thor, Anubis, we usually put them in their own fantasy contexts and treat them as fictional. Gaiman takes them and assumes they're real and transplants them to the modern era, giving us all sorts of ways to look at faith and belief, transmission of culture, and history through the lens of outsiders. With only the first four episodes under my belt, it's hard to guess how well the show will deliver on the potential inherent in its ideas, but we can dig into the characters we meet early in the story and some of the basic ideas the story starts to ask. 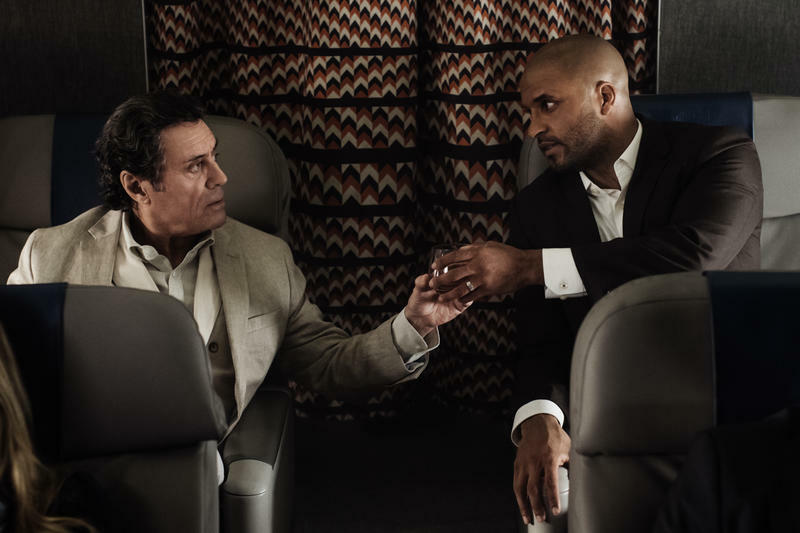 In a way, the casting behind American Gods matches the ideas presented by the book. The characters from the new world are often younger, lesser-known actors, while many of the titular gods are legendary character actors. 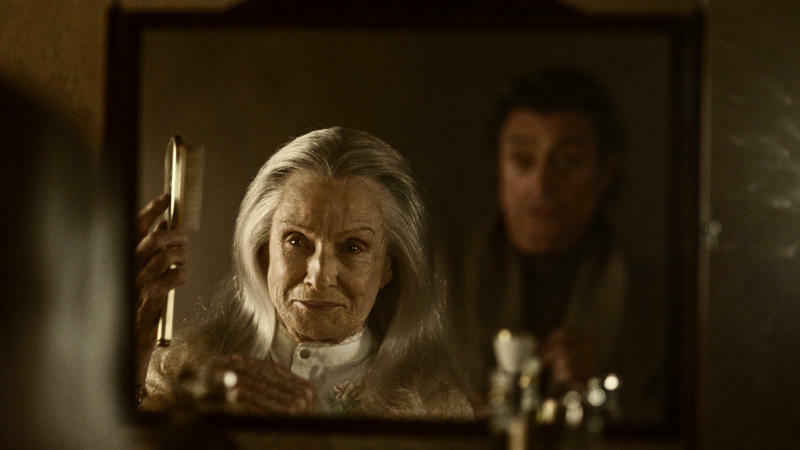 Ian McShane, Peter Stormare, Orlando Jones, and Cloris Leachman appear in these first few episodes, and some of the casting announced for later episodes is encouraging. 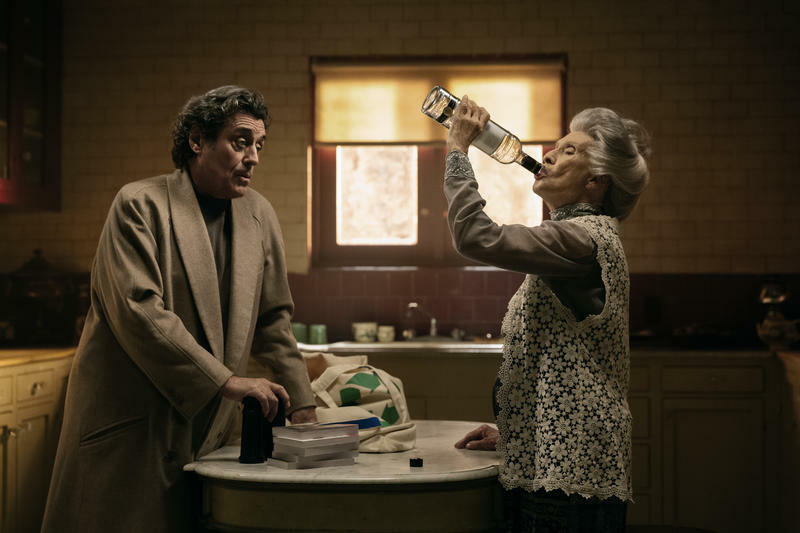 Ian McShane (Deadwood, Kings, Dallas, Kung Fu Panda) plays Mr. Wednesday, and imbues the character with the confidence necessary for that name to work. At one point, Wednesday tells Shadow, "This is the only country in the world…that worries about what it is…the rest of them know what they are. No one ever needs to go searching for the heart of Norway. Or looks for the soul of Mozambique. They know what they are." But Wednesday himself seems to embody one version of the American spirit. He's the risk-taking entrepreneur who throws caution to the wind. He has a scheme, a plan, and knows exactly how he plans to go about enacting it. And never for a second did I doubt him. Meanwhile, Swedish actor Peter Stormare (Fargo, 22 Jump Street, Until Dawn) plays the Slavic Black God, Czernobog. Stormare is known for playing off-the-wall characters meant to make us uneasy, and he brings that to bear here full-force. He's unhinged and doesn't care if that makes people uncomfortable. He's dangerous, but only to those foolish enough to make deals with him. 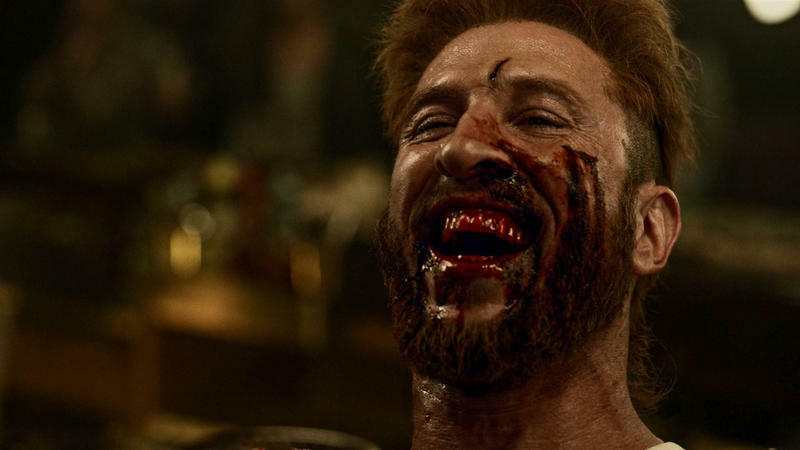 He takes great glee in death, but doesn't seem to want empty violence – there's structure to it. Both of these actors are a joy to watch, and that goes for the other actors I mentioned above, as well. Even if the rest of the show were no good, their performances would stand out. 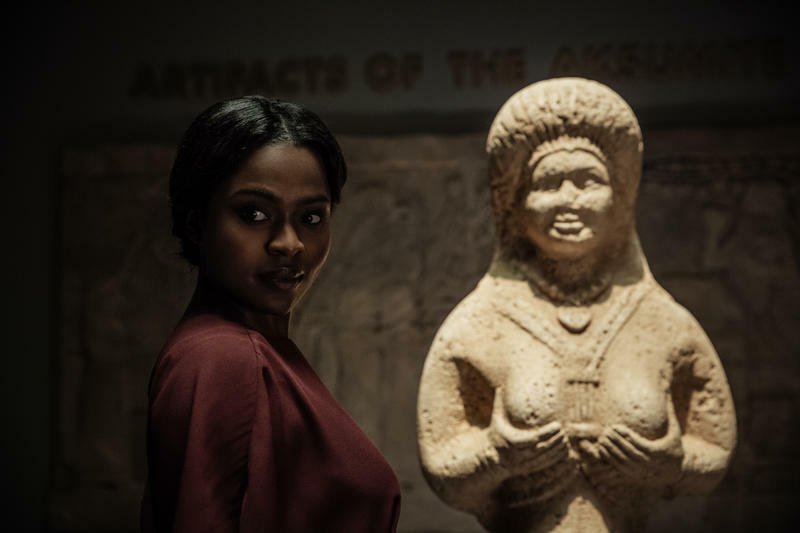 To say the casting could be the best part of the show isn't a slag on the show or its adaptation from the original novel at all – it's a compliment to how much the casting has enhanced my enjoyment of the show even just a few episodes in. As to the story itself, things are necessarily vague. 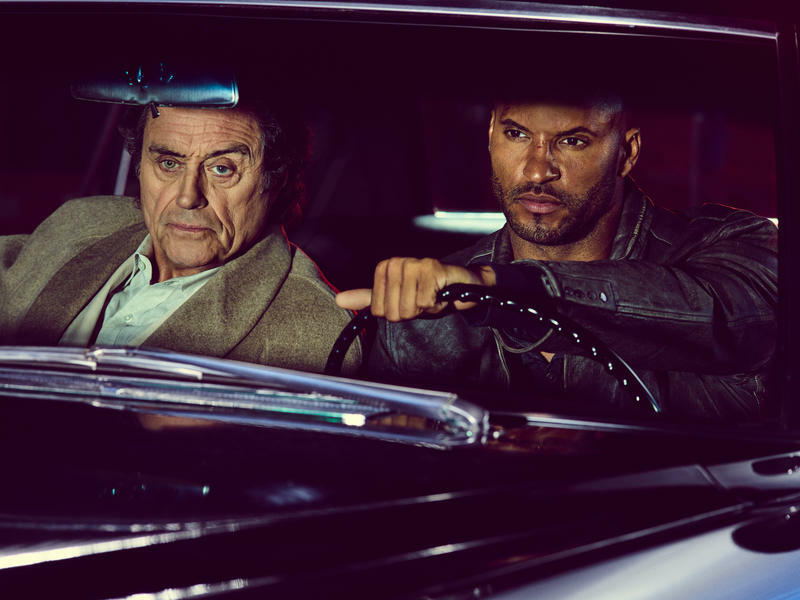 As a single novel with a self-contained story, American Gods is going to have a limited run. In these first episodes, the story is in full setup mode, and we're given countless questions to ponder and very few answers, as you would expect. 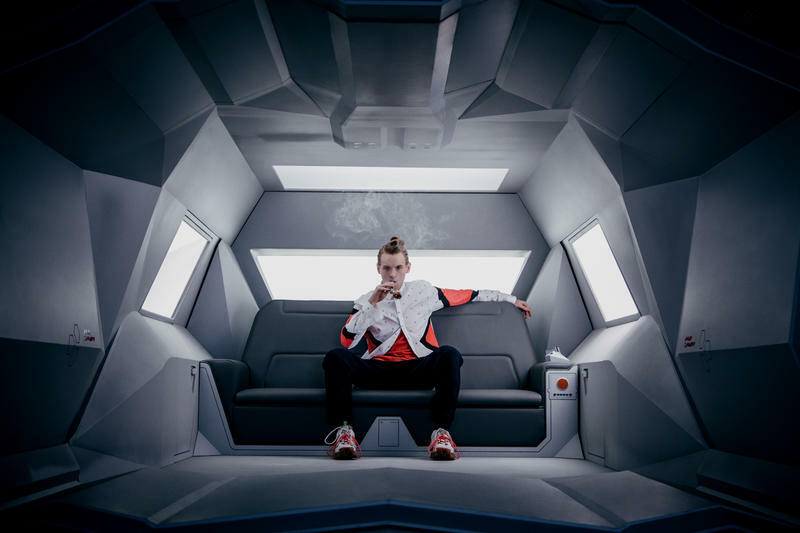 The show could have a lot to say about the role of faith in a modern, high-tech society. About the power of belief. There's a lot to potentially say about the communication of ideas across time and cultures. But none of that is in the story – yet. But the show does a good amount of both setting up the conflict to come and setting the atmosphere of this secretly-magical world that Shadow is learning about. 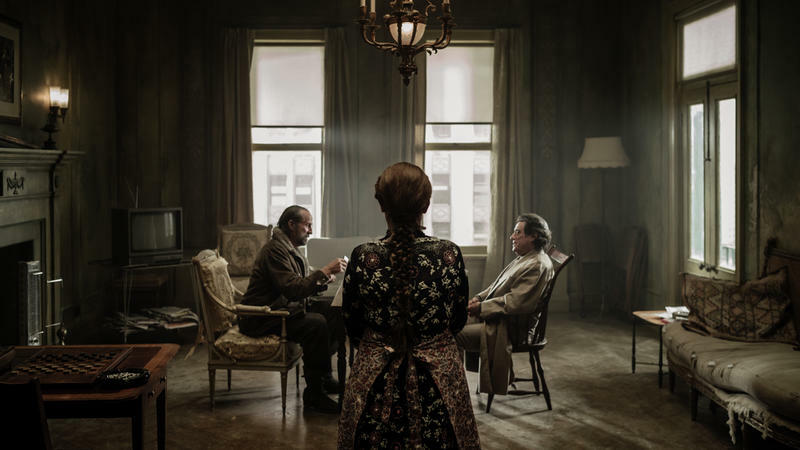 The atmosphere is set partially through vignettes that show us how the old gods arrived on American shores and how they continue to exist in the modern world. These scenes are absurd and funny. Writing that might come across as out-of-place spoken by human characters and effects that seem like they might look weird in another context seem to highlight how out of place these old gods are and how unnatural the world underneath the real world is as it begins to bulge through the seams. In one such vignette, for example, slaves-to-be are being carted across the ocean in the 1600s. The spider god Anansi steps from the shadows dressed like a 1950s dandy and, before giving the men the best option available to free themselves, takes a few minutes to tell the men in English what their people can look forward to for the next few hundred years. In another setting it might come across as hackneyed, but here it's a being unglued from time who cares deeply about those who believe in him. The brewing conflict is a bit more difficult to gauge. Like I said, it's all setup at this point. Because of that, Shadow doesn't get much time to develop this early on. 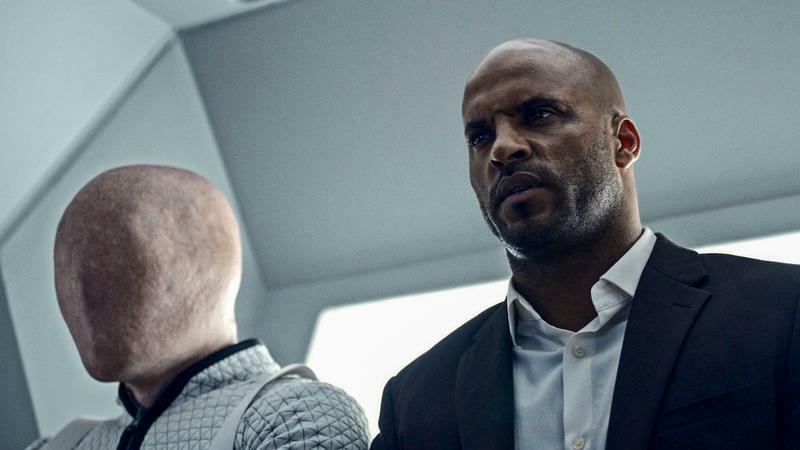 Actor Ricky Whittle (The 100) does what he can with him, but there just isn't much for him to work with right now. At times, he feels less like a character and more like a guide or avatar for the viewer. At other times, he's a generic, damaged protagonist with a couple quirks. Even his wife, Laura, who dies just a few minutes into the show, gets more time to develop into a multi-dimensional character. Right now, Shadow is the weak point of the story, and it's hard to see what the gods see in him. The version we were given access to is a workprint version of the show. A few moments made it clear that Starz is putting some finishing touches on the show. What that means is that, aesthetically, anything I saw that stood out could still be a work in progress and is subject to change. There are still a couple elements worth touching on, though. The first is the music and the way it balances out with the talking. I'm hoping the team at Starz is still working on balancing the two. More than once, I found the music overpowering the chatter between characters in a way I don't experience with other movies and shows. I found myself wishing for subtitles a few times. Part of what makes a story like this hard to film is the effects budget. What was impossible a few years ago is now achievable even on a television budget, but it still requires effective art direction to really grab the viewer. The dream sequences early on are, well, dreamlike. They feel weird and otherworldly in a way dreams filmed for movies and television so often don't. It's encouraging for the rest of the show. Making the world of the old gods and the new feel like they're intersecting will be absolutely key to making the whole package work, and the show is definitely on the right track here. 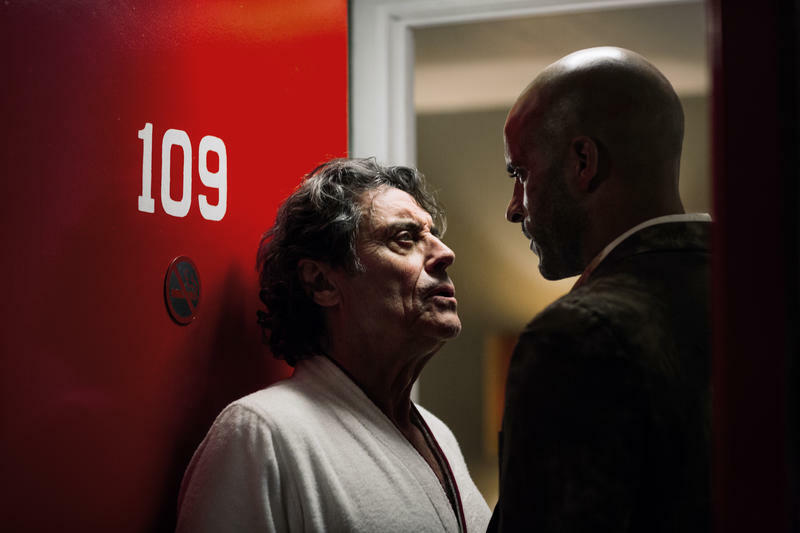 What we have with American Gods is a lot of potential for a good show. We have the beginnings of an epic conflict between interesting characters portrayed by awesome actors. We have an interesting setting for it to take place in. Now, the writers have to make all that setup pay off. The core of the story is the conflict between the new and old gods and how Shadow plays into that. American Gods originally hit shelves in June 2001. Nearly 16 years later, the world is a different place. Certain elements that worked back then won't work as well now. The way we interact with the internet now would be almost unrecognizable to the 2001 world. Game designer Hideo Kojima summed this up in a criticism of the recent Ghost in the Shell live-action film. "In 1995, the internet was a mysterious, brave new frontier; today, it's a known quantity. Smartphones are glued to our hands, and we are constantly connected. For us, the net doesn't feel vast or infinite," Kojima writes. "In 2017, one cannot simply whisper "the net is vast and infinite" and hope for the impact such a statement had 22 years ago." We've had only the slightest glimpse of the new gods, but the writers will likely have to tweak them and their stories a bit for them to seem relevant, rather than quaint, a decade and a half later. 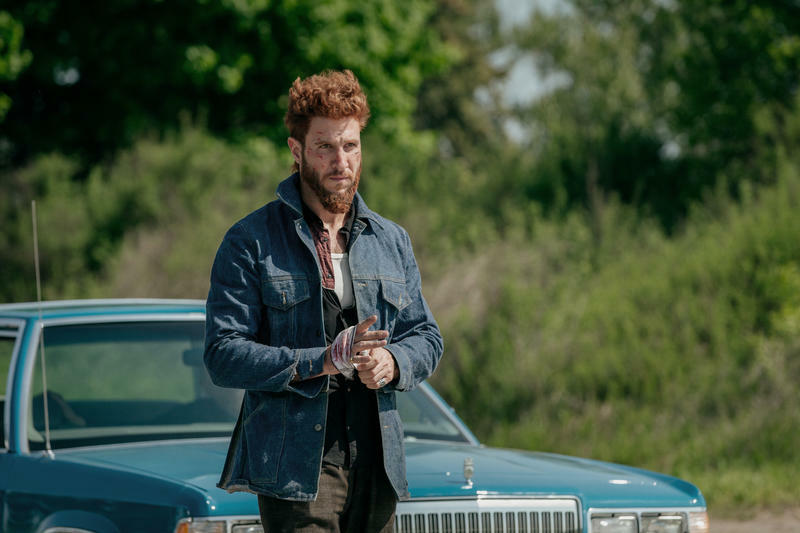 If the writers can pull all of this off, American Gods could end up being a stellar adaptation of a beloved novel. The self-contained nature of the story means we aren't going to be tortured with season-ending cliffhangers, and could get what amounts to an epic mini-series, and that's exactly what I'm hoping for.